DC's Eyebloc Gets Eaten Alive on ABC's "Shark Tank"
Last Friday, DC-based startup Eyebloc competed on ABC’s “Shark Tank.” Unfortunately, the Sharks took a nasty bite out of the company that manufactures a webcam blocker to ease consumers’ online privacy concerns. 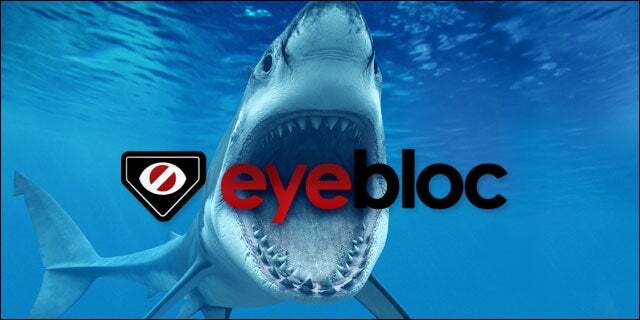 According to Eyebloc founder CJ Isakow, “THE SHARKS ATE ME UP! !” (as stated on his Indiegogo page.) Basically, the Sharks felt that Isakow’s product was overpriced and could be easily replicated. All of them — including cyber-crime expert Robert Herjavec — passed on the opportunity to invest in Eyebloc. But that’s not stopping Isakow and the Eyebloc team. In fact, they’re more motivated than ever. Since filming the ill-fated episode, the company has sold thousands of Eyeblocs, has rapidly increased sales on Amazon, and is solidifying plans to stock Eyebloc with several major retailers. What do you think about “Shark Tank?” Is it the sink-or-swim competition it portrays itself to be, or is it just another option on the path of a risky, yet thrilling, entrepreneurial journey? The battle of net neutrality has been a long and arduous one, and it continues this week as House Democrats plan to introduce the Save the Internet Act to hopefully reinstate the laws that were repealed in late 2017. Parenting in the internet age is tough. And Facebook's track record with how it treats younger users should be enough to concern any parent. This week alone, Facebook was found to be paying teenage users for access to their data, and its track record is little better. Meg Rayford is a communications consultant based in Northern Virginia. She previously spent two years as the Director of Public Relations for a nonprofit startup, where she learned a lot about providing clean water for impoverished countries, even within the confines of a bootstrapped startup. She is the editor of Tech Cocktail, and she develops media strategies for companies in Washington, DC and Virginia. You can read her most recent work in the marketing chapter of the upcoming book, "Social Innovation and Impact in Nonprofit Leadership," which will be published in Spring 2014 by Springer Publishing. Follow her @megkrayford.